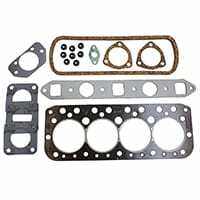 If you remove the mechanical fuel pump from your engine block and convert to a remote pump, the old pump hole must be blocked. 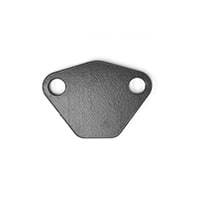 This simple steel plate is the way to go, along with a 2A0113 gasket. 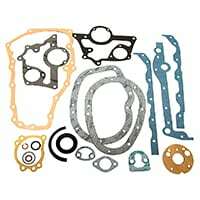 Conversion gasket set is the English name for the bottom-end gasket set. 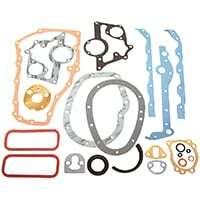 It contains all of the gaskets below the head gasket, including block to transmission and Flywheel housing. 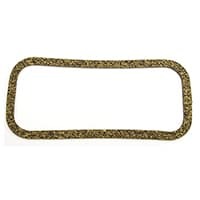 Conversion gasket set for all A-Series and A+ classic Minis; includes gaskets for the first 850 through 1275 A+. 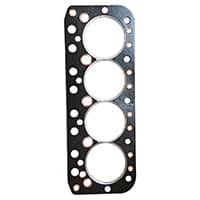 Hard-to-find original type 1.625" core plugs for pre-A+ 998cc and 1100cc engines. Sold each. 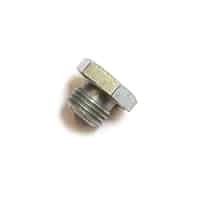 Cup type core or freeze plug for 1300 type blocks plus 998 A+ and 1275 A+ blocks. Sold individually. 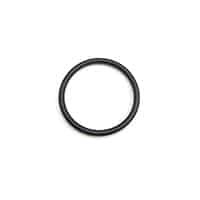 Core plug, cup type; Cooper S only. 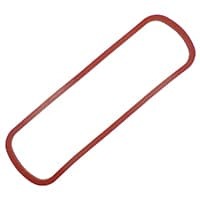 1.63" (41.4mm) wide. Fitted to the rear of engine block to drain out water. Reproduction. 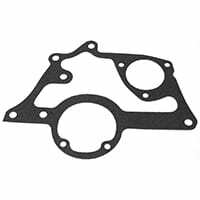 A+ engines used a slightly different gasket between the front engine plate and the block. 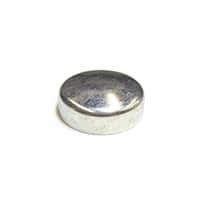 For earlier engines, use 12G0619B. 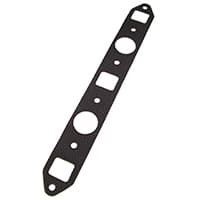 Fits between the front plate and the block on early engines. 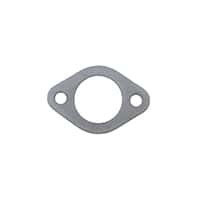 Use CAM4700B gasket for all later engines with tensioner block. 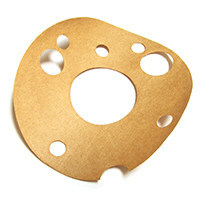 Paper gasket for removable blanking plate on engines not using a mechanical fuel pump. 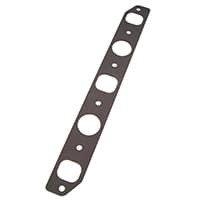 Gasket for the heater control valve on the cylinder head. 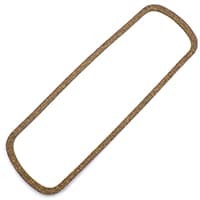 Used under the blanking plate, also. 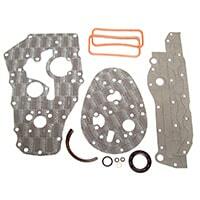 Gasket that goes between the filter head and the block on earlier Minis equipped with a canister-type oil filter. 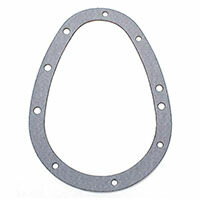 Gasket for oil filter housing on automatic transmission-equipped cars. 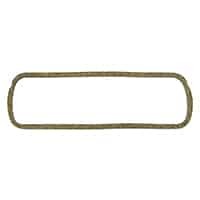 Compare the shape to your old gasket before ordering. 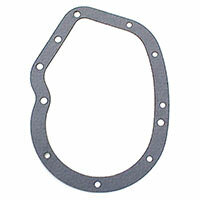 Paper gasket, fits all oil pumps. 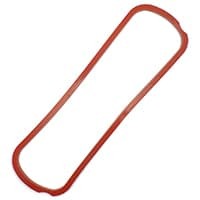 Comes pre-curled at no extra charge. 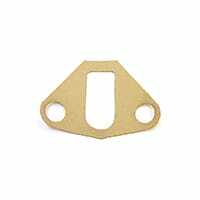 Valve / rocker cover gasket with notches for 10th and 11th studs of a Cooper S head. 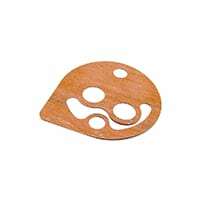 Originally fiber, now manufactured in cork. 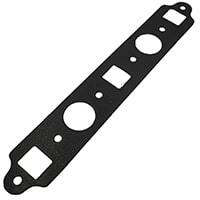 Thicker, heavy-duty silicone version of the valve cover gasket. 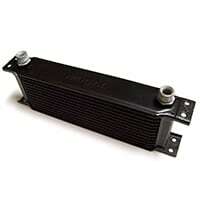 Fits steel valve cover; reusable. 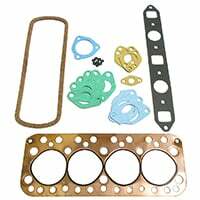 Head gasket set for all 1275 engines with twin or single HS carburetors. 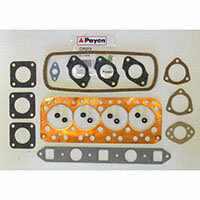 This set fits all 1275cc based engines and includes a black Payen AF470 composite head gasket. 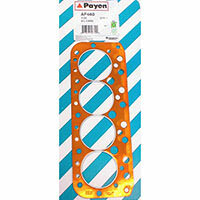 Top quality genuine Payen head set for A+ Mini engines after October 1991, identified by 12A2A engine numbers. 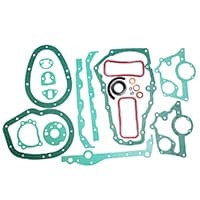 Includes Payen / Unipart improved GUG702560HG black head gasket. 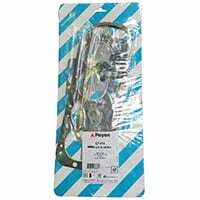 Top quality genuine Payen head set for Mini and Metro 1275cc A+ engines to October 1991. 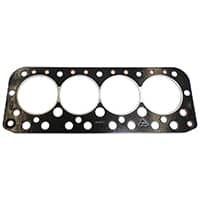 Includes black head gasket with grommet around the oil feed hole. 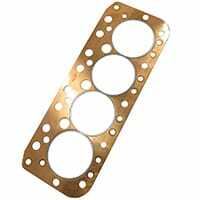 Copper head gasket supplied in this set. 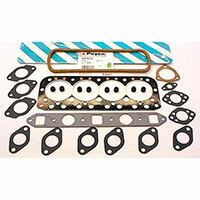 Seven supplies name brand head gasket sets from Payen, Unipart and other reliable manufacturers, not "no-name" gaskets. 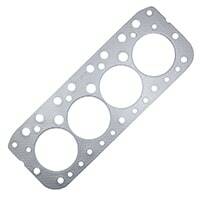 This set fits all "small bore"
Head gasket set to fit all "small bore" 850 to 1098cc engines. 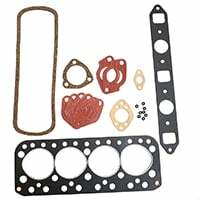 This economically-priced set includes Lucas composite head gasket. 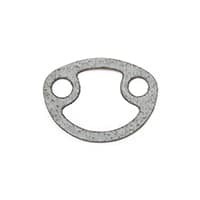 Grey composite head gasket with steel fire rings for standard 1275/1300 engines. 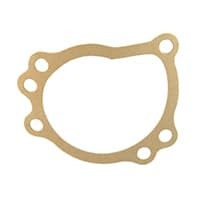 Budget 1275/1300 copper head gasket; suitable for standard-spec 1275 and 1300 engines. 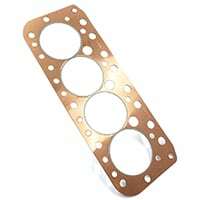 A modern version of the long-obsolete C-AHT188 competition copper head gasket, updated with improved fire rings as needed for modern-build engines. 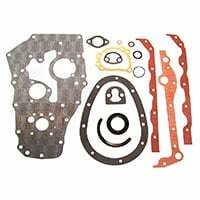 Economically priced steel-backed head gasket for 850, 997, 998 and 1098 engines. 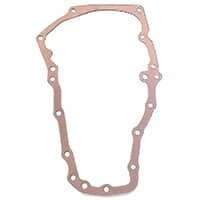 This is the upgraded copper-composite head gasket for "small-bore" 850-1098cc. 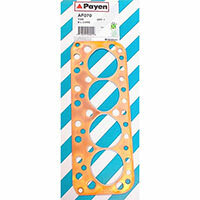 These are genuine Payen or Unipart-packaged Payen gaskets, with a 2.8cc compressed volume. 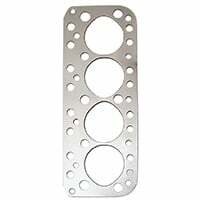 A thicker intake/exhaust gasket with large inlet and exhaust port cutouts for use with modified cylinder heads and/or headers. 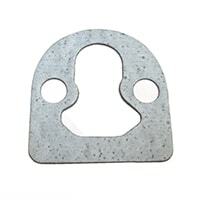 Metal-faced manifold gasket, as used on all fuel injected SPi (single-point injection) and MPi (multi-point injection) Minis. 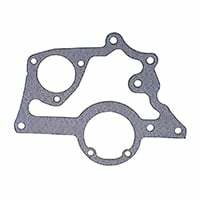 Stock gasket between the intake and exhaust manifold and the cylinder head. 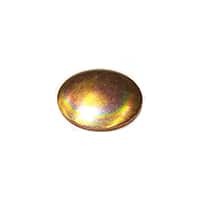 Use SIE0039 for modified heads and GUG704053MG for injected cars. 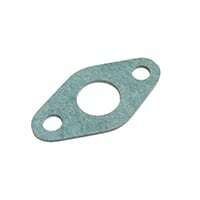 O-ring fits in a machined recess on the top of the gearbox to seal oil coming up from the sump to the oil pump. 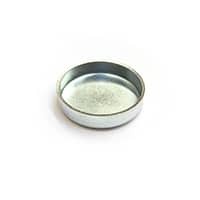 You'll get no oil pressure if this is missing! 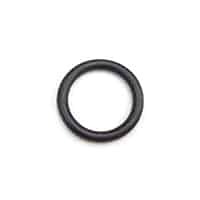 O-ring installs on lower section of distributor.